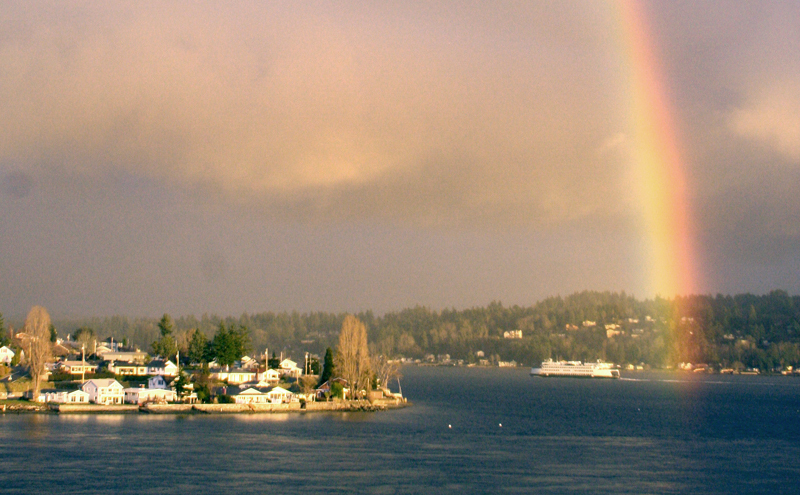 Double rainbow in Bremerton over Manette. 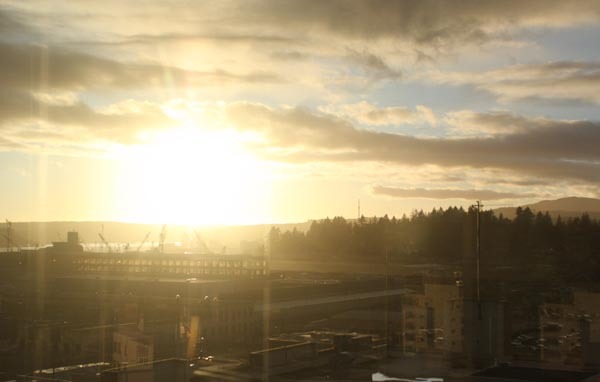 It always looks like this in Manette. I don’t see why it’s so blog-worthy. 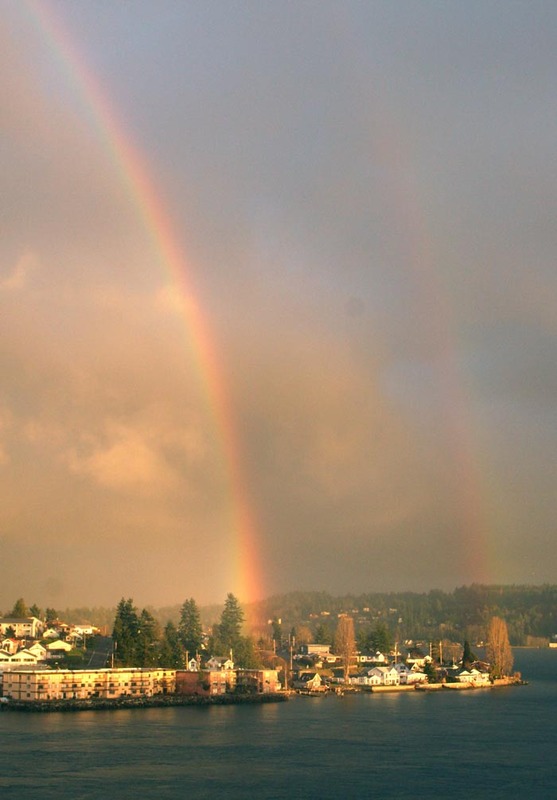 Now, back to counting my pot of gold…. 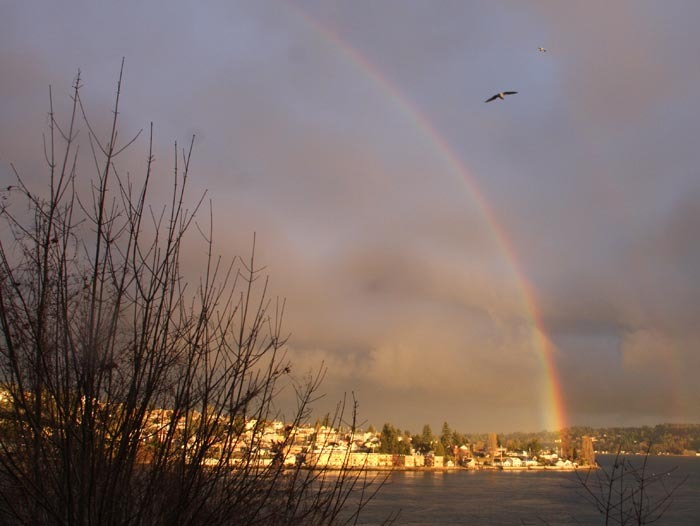 What would it take to get more lights over Manette at night? Lights over the Manette bridge would look great and tie the night lights of Bremerton in with the one day bright lights of Manette. Just a thought from my last night ferry home.